Really? Two golfers are 150 yards from the green. One is a very low handicap golfer with great ball striking skills. The other is an inexperienced golfer who struggles with ball striking. 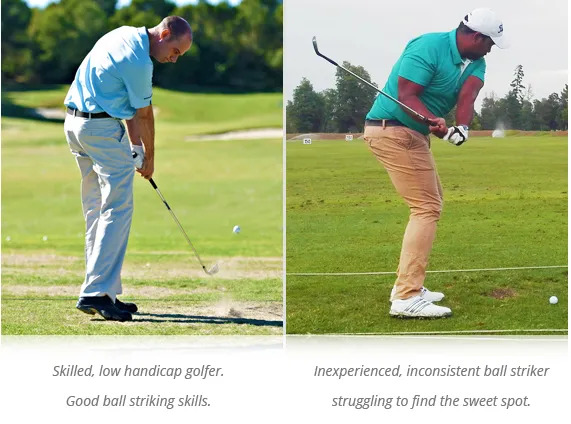 Which one would be able to use equipment that wasn’t perfectly matched to their size and swing? You’re right. The less experienced golfer needs all the help that the technology and setup of the golf club can provide. Don’t underestimate the impact hitting better golf shots have on your enjoyment. Hitting an iron shot that flies high and straight out of the sweet spot is hugely enjoyable every time. So make it easier to do that. Get fitted.